My day job at a regional bank has been so busy lately that I have not been taking time for walks. Now this is nuts, because I live in one of the most beautiful places and it is spring, when the mountains and hills are finally turning green again, and all the trees are beginning to lose their blooms. But one of my New Year’s Resolutions, along with looking for Joy, is to not judge myself. So no judgement. I haven’t walked much, but maybe I will tomorrow. Or later today. So it goes with things we know are good for us. Sometimes Joy requires discipline,too. When I lived in New York, occasionally walked a labyrinth at Battery Park at the very southern tip of the city. It was as soothing as all labyrinths are, and the noise of tourists and traffic fell away in that place, as if it was untouched by time or reality. I suppose every labyrinth is touched with a different kind of reality, a sense of peace. I have not gone labyrinth walking since I came to Asheville almost three years ago. Definitely another walk to add to my Joy list. 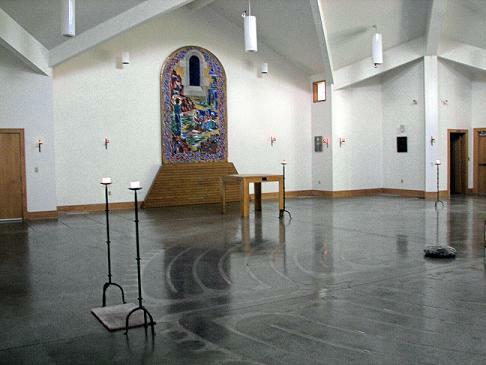 One of my favorite labyrinths is in Monk’s Corner, SC. Here’s a photo of this labyrinth in late fall. 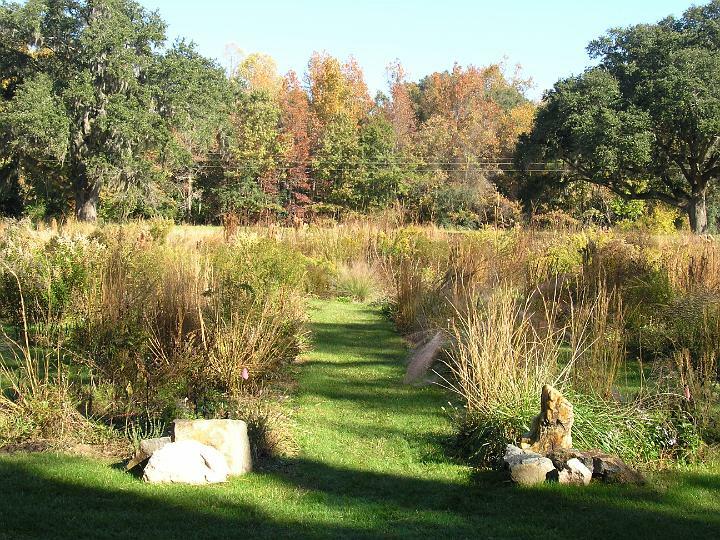 Drawn by high grasses and wild flowers, it is one of the largest labyrinth walks I’ve ever taken. I kept being distracted by the butterflies and dragonflies that abounded there. But I finished the walk, and it did indeed bring me joy. Here’s to Joy in your life, whatever brings it. Sometimes we have to go out and seek it. It’s worth the extra effort. Joy has a lot of gifts for us in its pockets. My Facebook friend, Glenne, sent me this poem. I loved it so much that I wanted to include it here, along with her introduction. This poem is written on the George VI and Queen Elizabeth Memorial in Windsor Castle, because the King read it as part of his speech in 1939, at the beginning of WWII. Still relevant I think, especially re: walking the labyrinth. 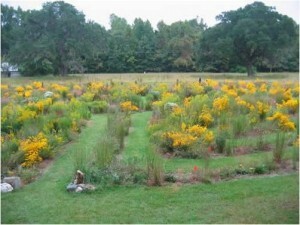 This Saturday, I had the good fortune to once again walk the labyrinth at the Church of the Servant in Wilmington, NC. I had not taken this walk since the new year. Winter and spring slipped away from me without another visit to that sacred space. But this Saturday, I managed to go. 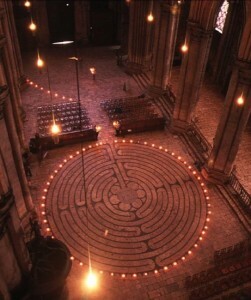 Usually when walking the labyrinth, I hold some problem in my mind, some burden that I want to put down. But when I arrived at the church and began my walk in the old circular, spiraling pattern, I found my thoughts centered only on joy and gratitude. I am a fortunate woman with a great deal to be thankful for: family, friends, my work, my life. So I left with a profound, deepened sense of all these things, and of my gratitude for them. I am grateful also for this online community, for the community of readers and writers that I have become a part of. There is always a continued striving for excellence, for sales, for growing markets. But there is also, in the midst of the daily work that comes with being an author, gratitude for all I have been given. If you’re reading this, you are part of all that I am grateful for.